As all of you are well aware of, mindfulness is the complete awareness of the current moment. It is all about living in the present. By practicing mindfulness meditation exercises, you can be freed from being entangled in the regrets of the past and being anxious of the future. Well, how to stay in the present moment? Isn’t it hard to do so particularly when the mind keeps wandering here and there? To your rescue come some mindfulness techniques that can help you practice mindfulness. By knowing how to do meditation and practicing meditation exercises on a regular basis boosts one’s physical, spiritual and mental health to a large measure. There are mindfulness exercises for anxiety, depression, stress and the like. Given below are some easy mindfulness exercises that are simple yet effective. In fact, they are exceptionally powerful methods to develop self awareness. Choose an object in your vicinity. Any normal everyday object is fine; be it a pen, flower vase, a coffee cup or a piece of cloth. Hold the chosen object in your hand and let your attention to get completely absorbed by that object. Just observe it. Do not think about it or assess it or try to make an intellectual connection. All you need to do is just observe the object for what it is. You will experience a sense of finely tuned ‘nowness’ when you do this observation. A simple mindfulness exercises, this one can be done at anytime. Try it right away. Note the time now. Next one minute, your work is to gather all your attention and focus on your breathing. Just for 60 seconds. However, if you are a beginner, it might appear like an eternity. You need not necessarily close your eyes. Breathe normally. If your mind is wandering off (it will), catch it and return the attention back to the breath. In this mindfulness exercises, you should focus your full attention on your breathing every time a particular environmental cue or sign takes place. For instance, whenever you hear a bell ring, you swiftly shift your attention into the current moment and just remain focussed on your breath. You pick up a cue that works best for you. May be, you will choose to be mindful whenever you look yourself in the mirror. May be, you will be mindful whenever your fingertips touch each other. Perhaps, it will be whenever you hear the windows rattle. Well, mindfulness cues are great mindfulness exercises designed to get you out of your unconscious state of mind and just bring you back to the present. Mindful eating might not be easy for beginners. However, instead of trying to do mindful eating every time, it is a great mindfulness exercise to try mindful eating whenever you eat the first two bites of a snack or a meal. Pay full attention to the different sensory experiences while consuming the first two bites – the appearance, smell, texture, and taste of the food. Also focus on the sounds created when you bite each piece of food. Take a couple of minutes to scan your body right from top to toe to find out if there are any sensations of tension or discomfort. Try to lessen the discomfort sensations. As a next step, scan your body for feelings of ease or comfort. These are some of the mindfulness exercises that are excellent for beginners. Besides these, there are mindfulness exercises for groups as well as fun mindfulness meditation exercises and mindfulness based stress reduction exercises. 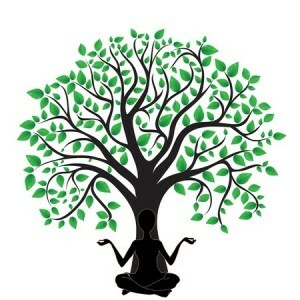 Get started right away with our Guided Meditations!